Aer Lingus is planning to launch a new direct service between Dublin and Las Vegas next winter, the Irish Independent has learned. The airline is initially planning it as a seasonal service, but chief executive Stephen Kavanagh said it could be extended depending on how it performs. While the new route to the party town will be welcomed by Irish holidaymakers, Aer Lingus will also be using Dublin Airport's position as a transatlantic hub to lure passengers to the service from the UK and mainland Europe. "We are working to build a business case to operate a seasonal service to Las Vegas," Mr Kavanagh told the Irish Independent. "We need to find a balance to the peak summer months, where the US consumer is the main source of our traffic and where Ireland is the destination." He added that a winter service to Las Vegas would "natucomplement" the seasonality Aer Lingus sees on its transatlantic services. Aer Lingus, which is part of the International Airlines Group (IAG) that also owns British Airways, generates the majority of its transatlantic traffic during the summer months. Last year, it carried a total of 1.7 million transatlantic passengers. "We think there's demand there," Mr Kavanagh said of the planned Las Vegas service, which will probably operate two or three times a week. "We can see from our own traffic data that for the Irish consumer Las Vegas is very attractive. Mr Kavanagh said that many Irish people and UK residents typically travel to Las Vegas from Manchester or London Heathrow. Almost 43 million people visited Las Vegas last year, according to the Las Vegas Convention and Visitors Authority (LVCVA). The average age of visitors to the gambling haven is 47, while 16pc of all its visitors are from outside the United States. The LVCVA has a target of 30pc of all its visitors coming from overseas within the next five years. A study for the tourist body showed that 76pc of all foreign visitors to Las Vegas gambled while they were in the city. Billions of dollars is gambled in Las Vegas every year. Foreign visitors typically budget just $370 (€344) for gambling while they're in the city. 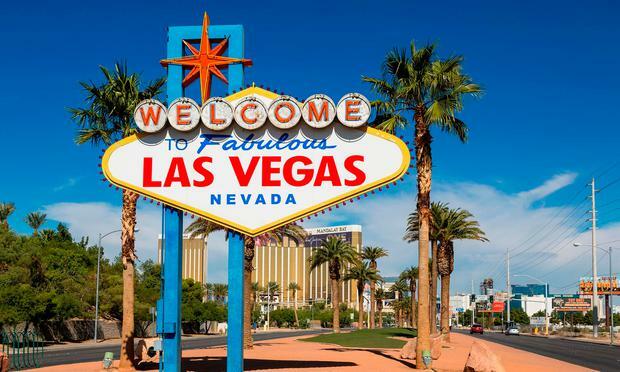 Figures released yesterday by the Nevada Gaming Control Board showed that revenue from casinos on the Las Vegas Strip, Nevada's gambling hotspot, totalled $6.3bn (€5.8bn) last year. Gambling revenue of downtown Las Vegas casinos was hit $565m (€525m). The Las Vegas service will be the 11th operated by Aer Lingus to the United States. It is launching a new route to Miami in September. Since it was acquired by IAG in 2015, Aer Lingus has launched new transatlantic services to Hartford, Connecticut, and relaunched its route between Dublin and Los Angeles. It is capitalising on Dublin Airport's relatively new role as a hub airport for passengers travelling from the UK and Europe to the United States. Mr Kavanagh has also criticised plans to raise passenger charges at Dublin Airport in order to pay for a €320m runway project. The DAA hopes to open the third runway at Dublin in 2020 to cope with rapid growth and to future-proof the gateway.